The Master Lock No. 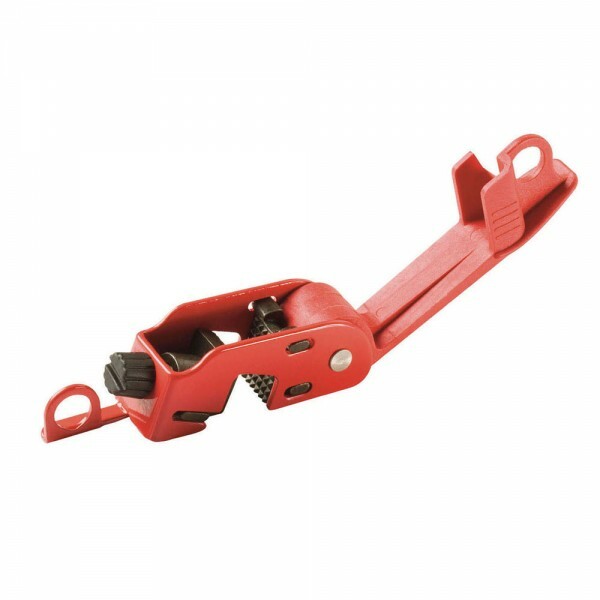 493B Grip Tight™ Circuit Breaker Lockout Device fits standard height and tie-bar toggles typically found on 120 and 240 volt breakers. 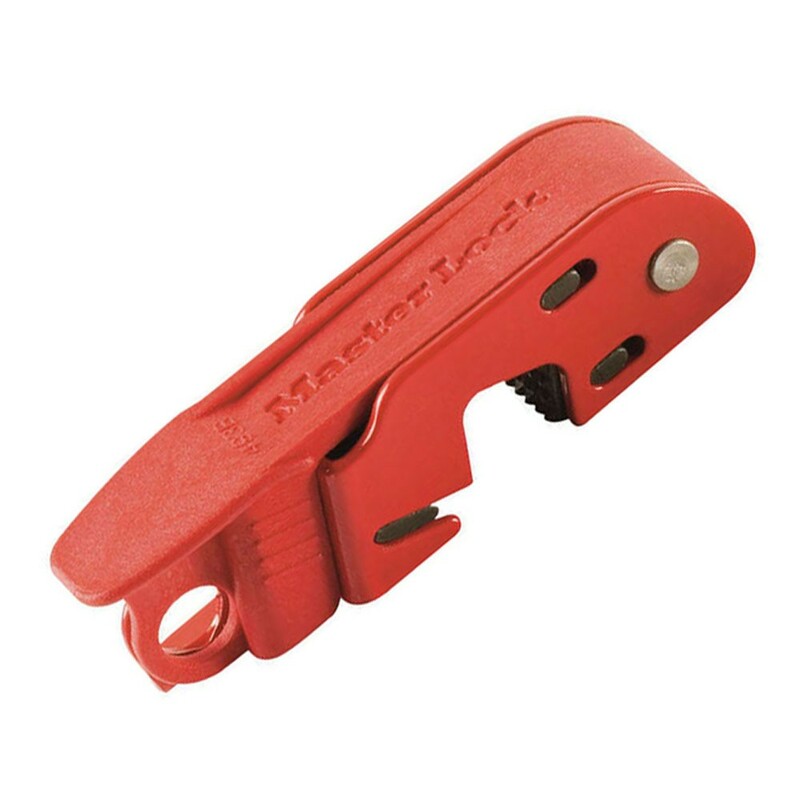 The innovative patented Grip Tight™ design effectively locks out circuit breakers with a simple thumb turn and then close clamping handle for a tight grip on the toggle. Device accepts all Master Lock® safety padlocks and most lockout hasps for full lockout. Durable construction stands up in harsh environments and compact design is easy to carry and store.